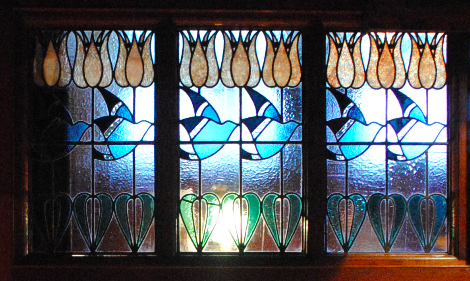 The sense of place and love of nature that underpinned the life and work of those designing Arts & Crafts buildings is found in abundance at Blackwell. 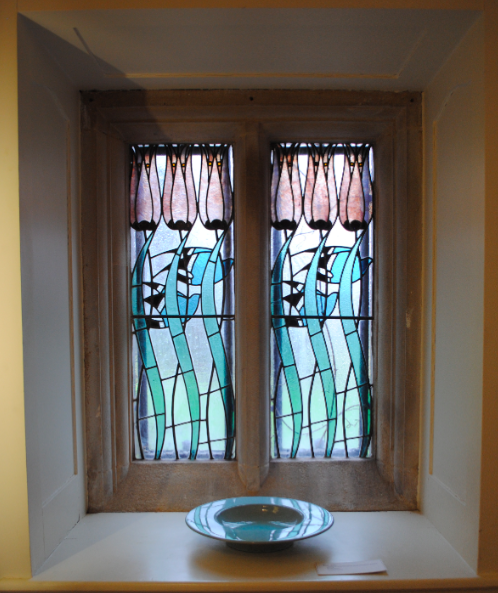 Advocating a simple life in which the home would be a place of harmony and beauty, Arts & Crafts architecture was a reaction to an aggressively industrial age and was championed by John Ruskin and William Morris. Blackwell has mostly escaped any alterations and almost all of its original decorative features have survived. Throughout this historic house, Mackay Hugh Baillie Scott has incorporated a wide variety of crafts with detail carefully woven into the fabric. The Lake District setting is reinforced by the decorative and impressive carvings, tiles, stained glass and plaster work which reflects the natural environment. The orchestration of distinctive sharp planes and sandstone window mullions, set flush within the facades rather than recessed (as above), create a striking and impressive building that is beautifully integrated into the landscape. 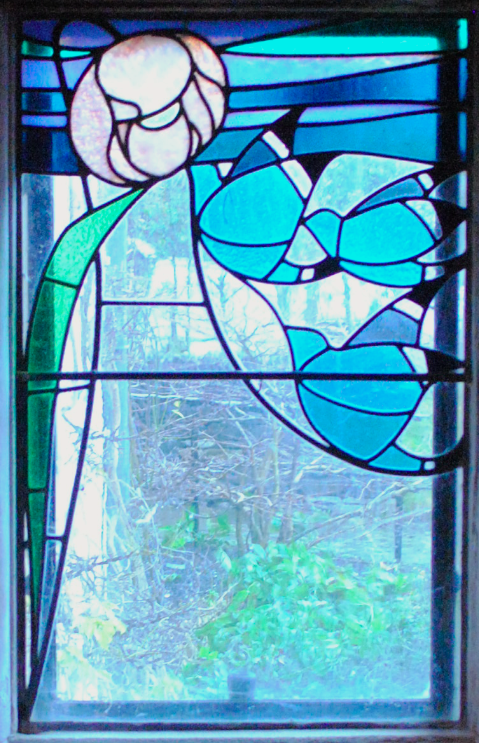 Delicate stylised tulips swaying in the breeze are a common motif to be found throughout the house. “A house may possess that inscrutable quality of the True Romance. Not shallow, showy and pretentious, as most modern mansions are, but full of still, quiet earnestness which seems to lull and soothe the spirit with promises of peace.” M.H.Baillie Scott, 1906.